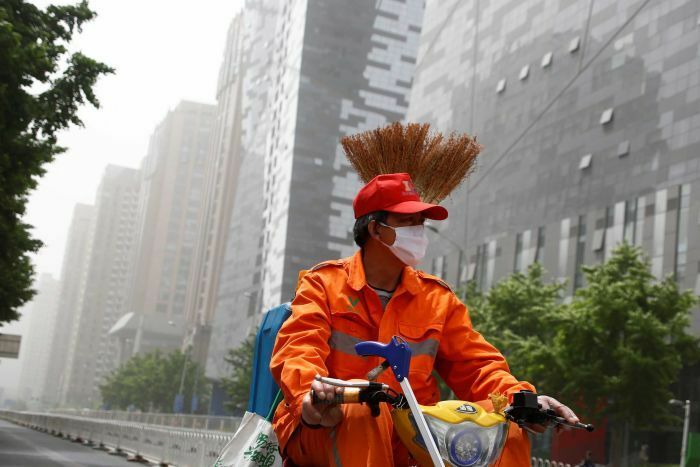 According to a recent Xinhua News Agency report, more than 500 street cleaners employed by the Nanjing West Bank Environmental Service are required to wear smartwatches while working. If the smartwatch detects a worker standing still for over 20 minutes, it sounds an alarm. “Add oil, add oil [work harder, work harder! ],” the wristbands’ alarm says, several cleaners from the eastern city of Nanjing told Jiangsu Television earlier this month. 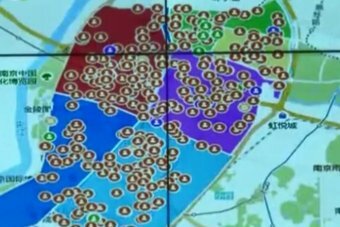 The smartwatch not only tracks the cleaners’ locations but also reports their activity back to the company’s control room, where a big screen displays their locations as a cluster of red dots on a map. “It knows everything,” an anonymous cleaner told a reporter in the Jiangsu Television report. Following backlash, the company said it removed the alarm function from the smartwatch, but reports maintain the employees are still being required to wear the device so their location can be tracked. The Chinese Government is already in the process of building a Social Credit System aimed at monitoring the behaviour of its 1.4 billion citizens with the help an extensive network of CCTV cameras and facial recognition technology. Senior researcher for Human Rights Watch China Maya Wang said the use of surveillance technology by the Government was sending private companies a message that it was “okay to [monitor] people”. “[This is] especially [the case for] those people who lack power to challenge current practices, people who are at the bottom of society like the cleaners,” she said. The Jiangsu Television news report, which was posted on Weibo earlier this month, quickly went viral on the Chinese social media platform and attracted swathes of criticism from netizens. “Too little thought is given to the lowest class in society and to their life and freedom,” one Weibo user commented. Tang Haiping, an employee working in the control room of the company, told reporters the smartwatches allowed the company to broadly monitor the cleaners. Meanwhile, Zhang Donglin, the deputy manager of the same company, explained to Beijing Youth Daily that the smartwatches reduced the costs associated with managing street cleaners who were expected to work across large areas. “It [has made it] increasingly difficult for the supervisors on patrol and raised the cost of management,” Mr Zhang said, arguing against criticisms the technology was a violation of the cleaners’ privacy. Street cleaners in Nanjing are not alone in wearing the devices, however. Several companies and agencies across Guangzhou, Chengdu, Qingdao and Hangzhou have all reportedly used smartwatches to monitor cleaners since last year. In Guangzhou, smartwatches are also reportedly used to alert team leaders if the cleaners are found to be stationary for an extended period of time. “This kind of story is alarming because it foreshadows a future where people can have no freedom at all,” Ms Wang said.